personal legal crisis? See how we can help! To us, it’s Personal. For every client facing a personal legal crisis, Geherin Law Group (“GLG”) strives to provide personal solutions, personal attention and personal justice. A personal legal crisis can strike at any time: An arrest for a criminal offense; a false accusation; a loved one killed by a drunk driver; a loss of driving privileges; a catastrophic injury while riding a bicycle or motorcycle. When a personal legal crisis does strike, you have no better ally than Geherin Law Group, a law firm dedicated to providing extraordinary personal justice when clients need it most. Daniel T. Geherin is a Board-Certified Trial Attorney and former prosecutor with over 20 years’ experience practicing law. 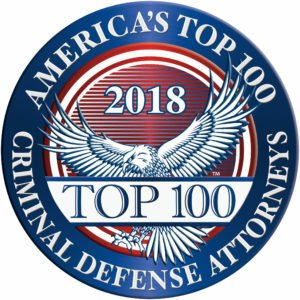 His trial-based practice exclusively focuses on representing individuals facing a personal legal crisis, ranging from criminal defense / drunk driving, to civil litigation, to driver’s license appeals. Loved one killed by a negligent driver? Charged with a felony or misdemeanor? Learn about defending your freedom & reputation. Injured while on your motorcycle or bicycle? See how we help you recover. Lost your privilege to drive? Learn how to get your license back. See how we defend your record & reputation. Child charged with a delinquency offense? Let us protect your child. See how we fight for your rights. Learn about your best DUI defense.